Hell personified - An Autumnal trip down the A14 to Cambridge, or for that matter, any peak hour trip on our overburdened roads. 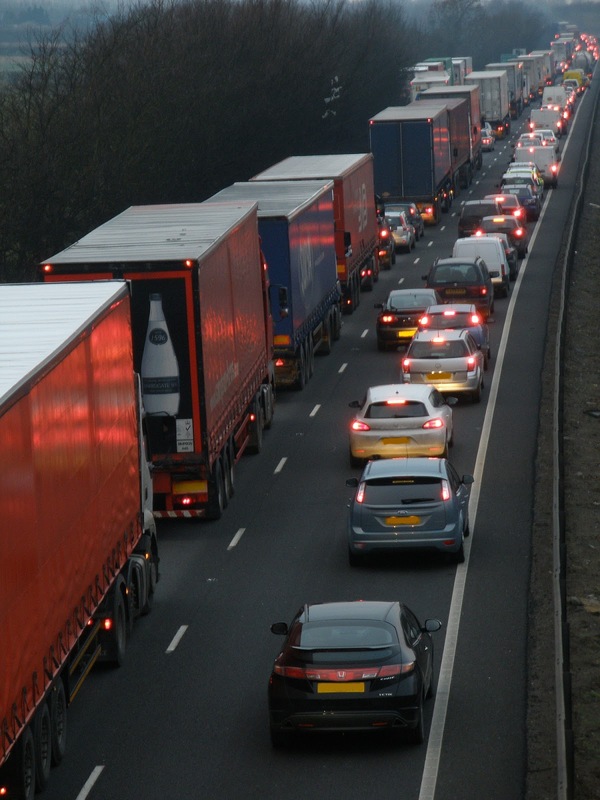 Particularly the main routes from the container ports on the coasts to the congested arteries into the cities do not just irritate delayed drivers. They impose a financial and logistical burden on businesses striving to get their produce into the shops so that we can buy them. And it just takes one accident for everything to grind to a halt. Whatever the era, optimistic futuristic films show shiny cities, with smoothly gliding transporters, efficiently delivering goods and people. How is it, we never seem to get there!? Yet there is a solution NOW for transporting freight and goods into our cities. A solution that could take them straight off the roads and underground. 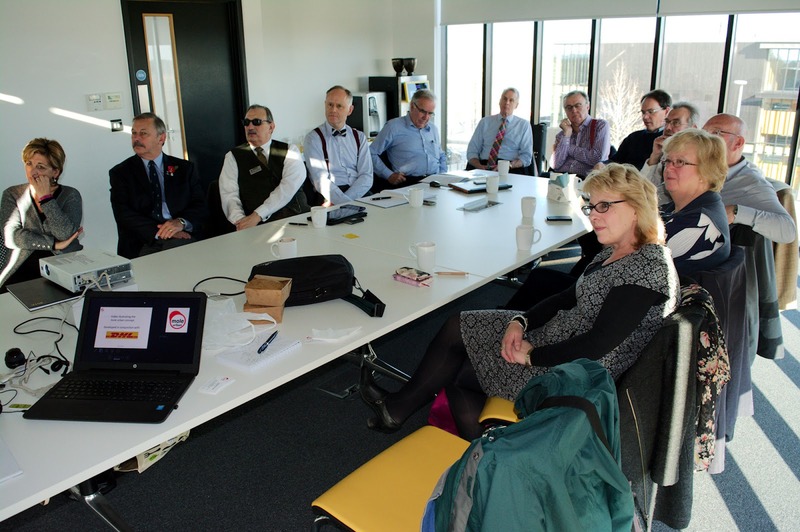 This weeks (11/11/16) Huntingdonshire Business Networking event was hosted by Mole Solutions who have an integrated solution for transporting freight, Mole freight pipelines. 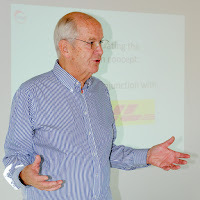 Stuart Prosser, Technical Director, brought us up to speed on the concept, supported by MD Dr Roger Miles, Development Director Bob Silverthorne and Finance Director Mike Steele. Freight is carried on driverless and motorless individual carts, designed to take either aggregate, pallets or containers. Yes, motorless. The system uses electrically powered linear motors seated between rails. They create an magnetic field that acts upon a plate on the underside of the cart, accelerating or braking as required. No moving parts apart from the wheels. A simple system that requires minimal maintenance. Crucially, the vehicles travel underground in small tunnels with a small bore, for example about 2 m wide for 2-way tracks. 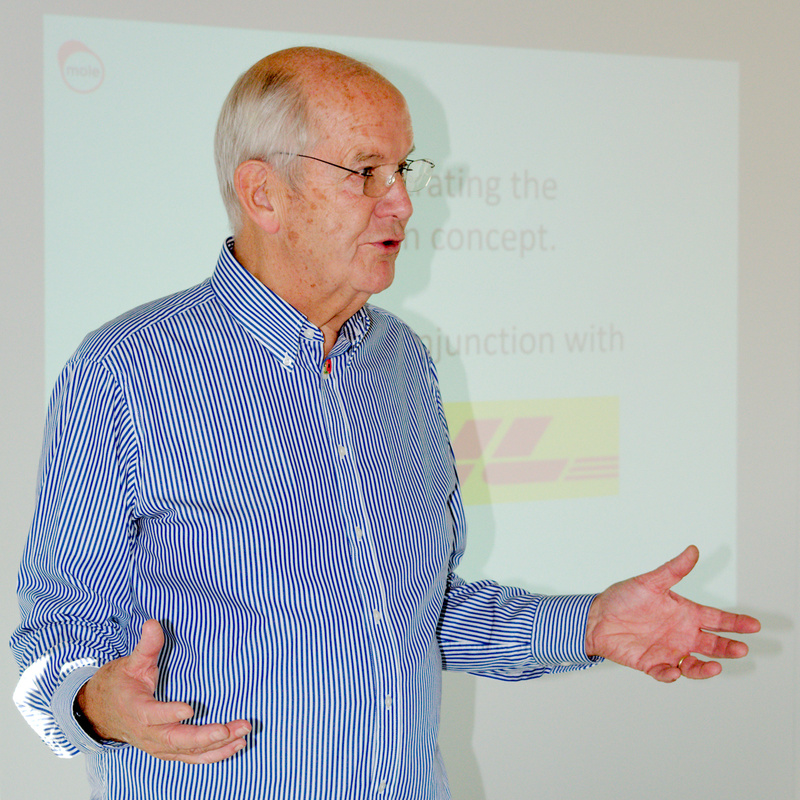 Alternatively larger systems can run overland, for example in moving freight containers in major container ports. The smaller bore of the tunnels for the Mole Solution makes them much more economical to drill, with less waste needing to be removed. They can not only be constructed under existing roads, they would also provide a convenient route for other underground infrastructure such as water and gas pipes, electric and fibre cabling. A proposal for Northampton could convert 5km of old railway track into a Mole freight pipeline underground and a new recreational/green path for walkers and cyclists above. 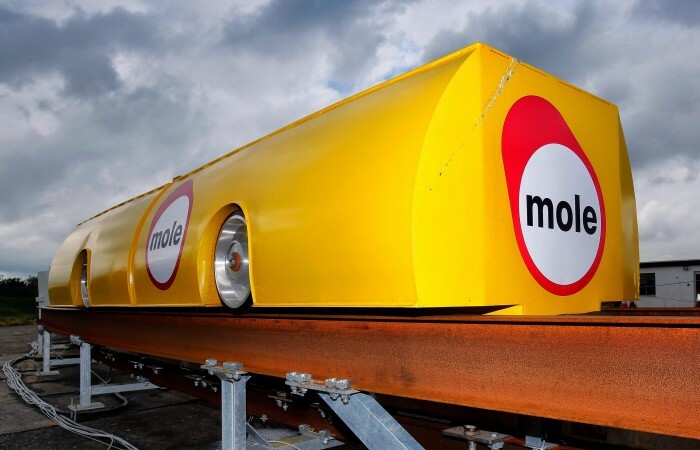 Mole Solutions have test vehicles (see below) and actually ran a test track at Alconbury Weald. A new track is being planned and constructed at another location on this rapidly growing new business site. So why do we not have active mole freight pipelines under construction or even planned in the UK? Well, first, there's the cost - it is an infrastructure project, even if a cost-effective one. Second, there is a reticence by potential clients in the UK to be the first. There is interest in China and in the US for two major projects. It could therefore well be, that as so many times before, a great British idea is realised and creates benefits outside of its original home. UK Investors, if you want a bite at the cherry to create a profitable local solution - contact the Mole Solutions team - their website is http://www.molesolutions.co.uk/. In the meantime, I'll just have to watch those optimistic SciFi films.